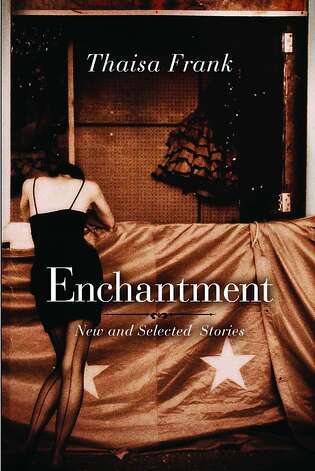 On Friday, July 20, I reviewed a short story collection from Thaisa Frank of Heidegger’s Glasses-fame, and the collection entitled Enchantment was by turns fanciful and dark. Check out my review. 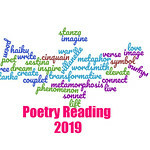 These stories made me think, and when I was contacted by the author about doing a discussion on the blog of a short story, I was excited to offer Savvy Verse & Wit as a forum for that discussion. In September, I’ll be holding a discussion of “The Mapmaker” story in the collection, which is actually a series of stories. I’m hoping that the 4 of you who win a copy of the book will join us. I’ll post the discussion post Tuesday, Sept. 18, which should provide others with enough time to get their own copy of the book and for those of you that win it to at least read the one short story. To enter the giveaway, you must be willing to participate in the September 18th discussion of “The Mapmaker.” And, in September, we’ll let one lucky discussion group member pick the October story for discussion. Enter the giveaway by leaving a comment on this post by Aug. 31. US/Canada residents, who are age 18+ only. Audra alerted me to this and I would be very interested in entering the giveaway and participating on the 18th for the discussion! I haven’t seen this kind of a giveaway before but I think the group discussion idea is awesome! I’m curious about this collection and would love the chance to win a copy. I just checked my calendar and will be available to participate on Sept 18th. Thanks! I would *love* to get my hands on this collection — I loved Frank’s previous book and I love the idea of a group discussion — so fun! Thanks for the giveaway! Thanks for this opportunity. It sounds fascinating. No need to enter me, as I’ve already read the book, but I’d be happy to participate in the discussion!